A very traditional pattern of patta gold mangalsutra. 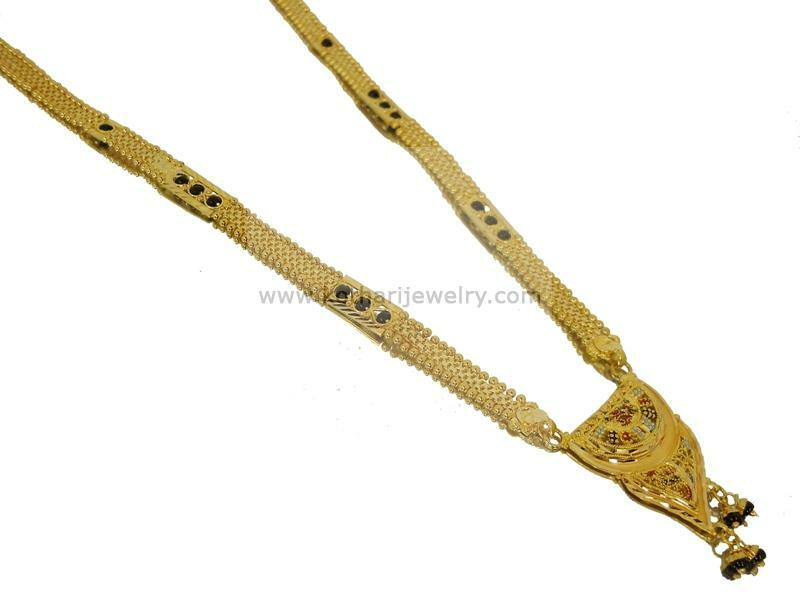 This kind of 22kt gold mangalsutra is widely used by women across india. This is an ideal gift for your mother. The mangalsutra is pricked with black beads at regular intervals.